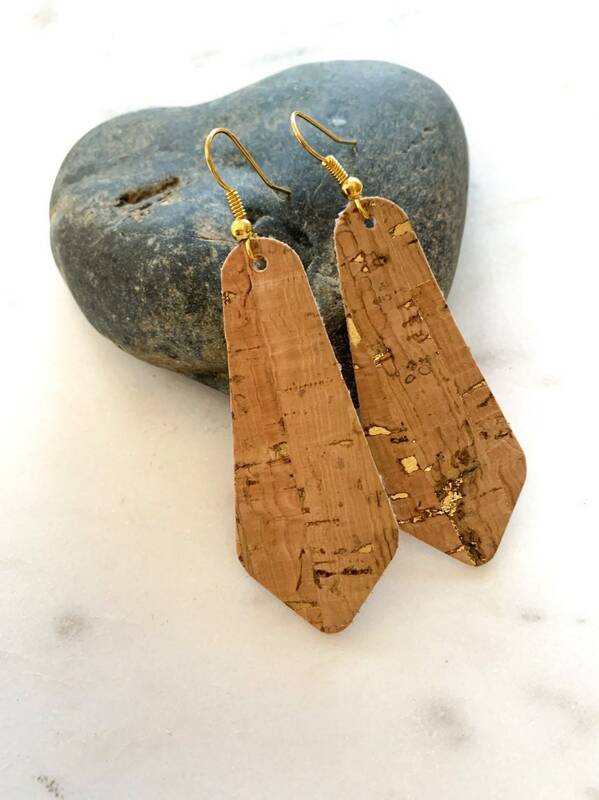 These fun and trendy cork earrings will be a showstopper! 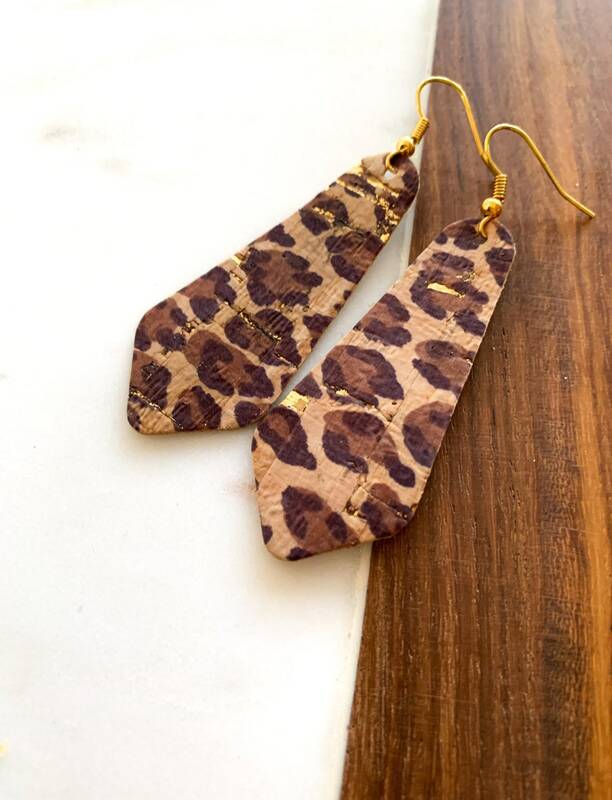 Choose from a variety of colored cork leather earrings. 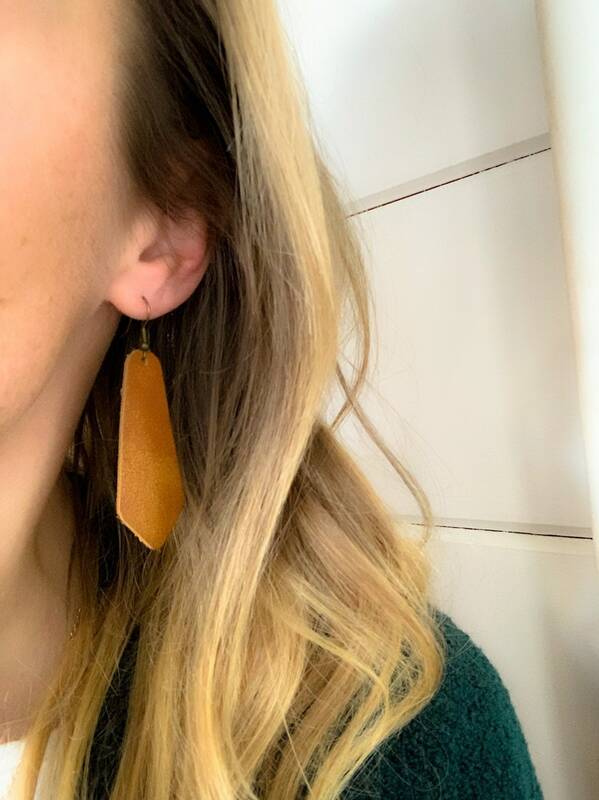 Finished with a gold, silver, bronze or antique brass plated ear wire. Main pic is Natural cork/gold. 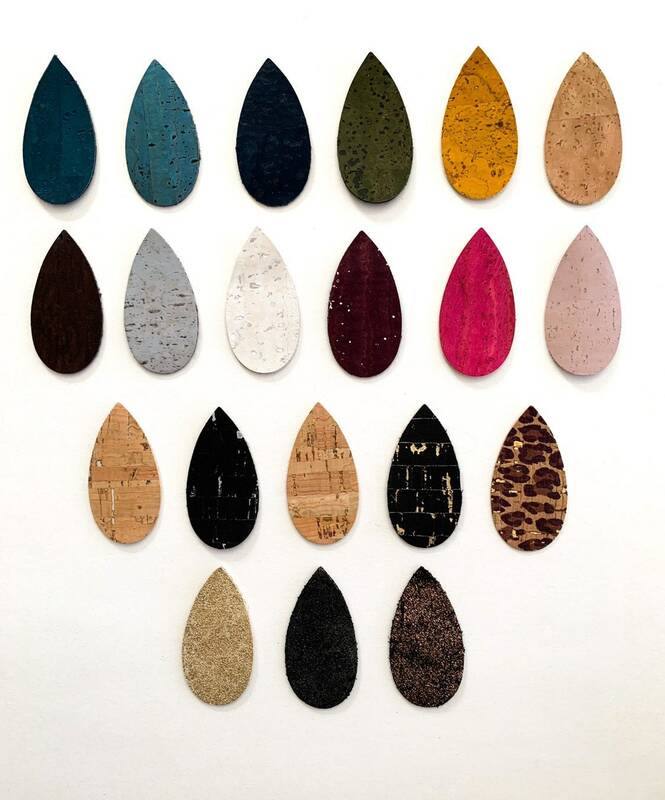 ► Quality natural and colored cork from Portugal. Cork is lined on backside for stability.